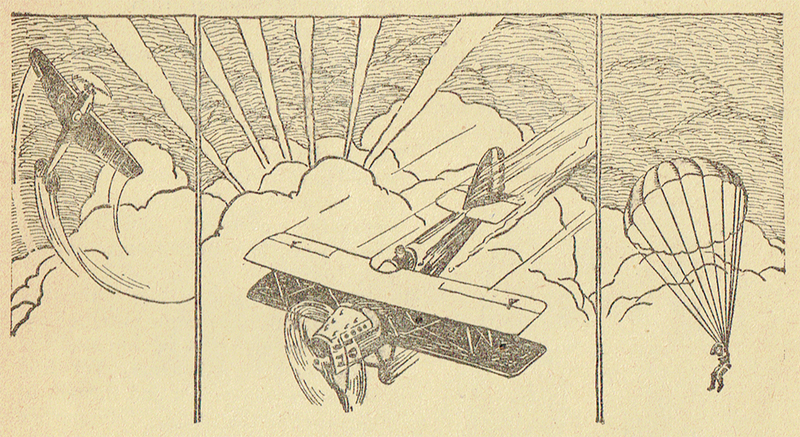 THIS week we have a story by Raoul Whitfield! 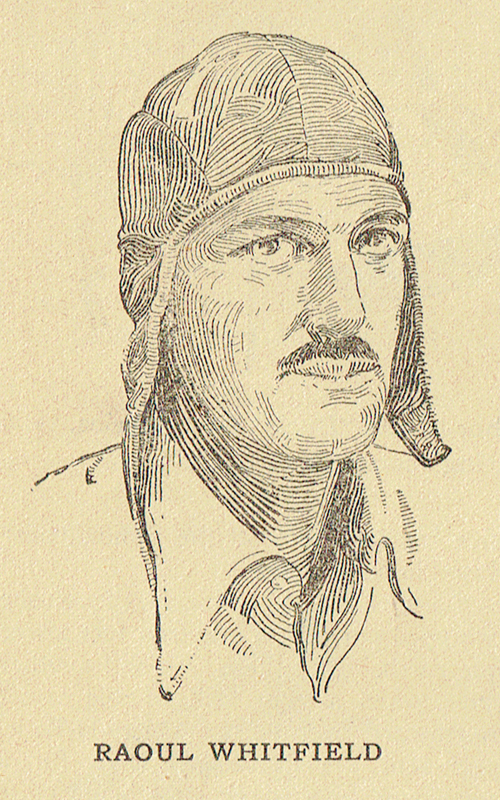 Whitfield is primarily known for his hardboiled crime fiction published in the pages of Black Mask, but he was equally adept at lighter fair that might run in the pages of Breezy Stories. 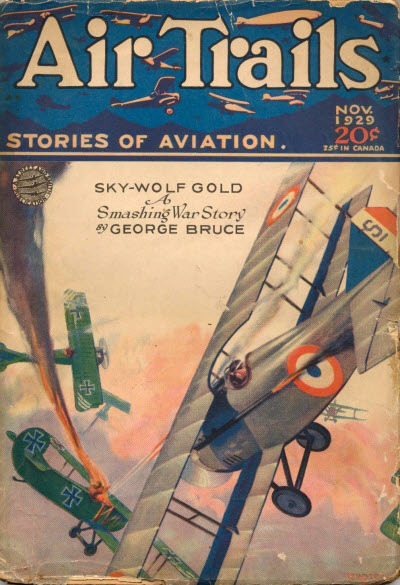 We’ve posted a few of his Buck Kent stories from Air Trails. 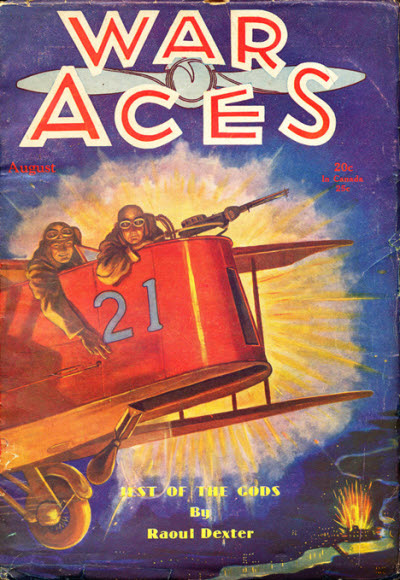 While the Buck Kent stories were contemporary (1930’s), “The Ceiling Ace” from the August 1930 issue of War Aces is set in The Great War. Every time the ships of the black cross ripped their lead at him he ran to the ceiling. They called him yellow, but that day when the heavens shrieked at man-made fury he held the fate of the squadron on his wings. 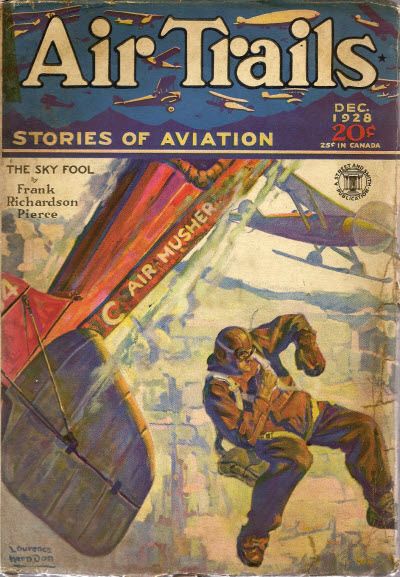 In the December 1928 issue of Air Trails, ‘Buck’ and his pal Lou find themselves in Mississippi down along the Gulf of Mexico low on fuel and looking for a place to land in their two-place plane. Before long they find themselves embroiled in local carnival politics and trying to rescue a girl doing a trapeze act from a hot air balloon that is about to be ripped apart by an approaching tornado! A balloon broken loose—a Mississippi tornado! Buck Kent and Lou Parrish find perilous action.